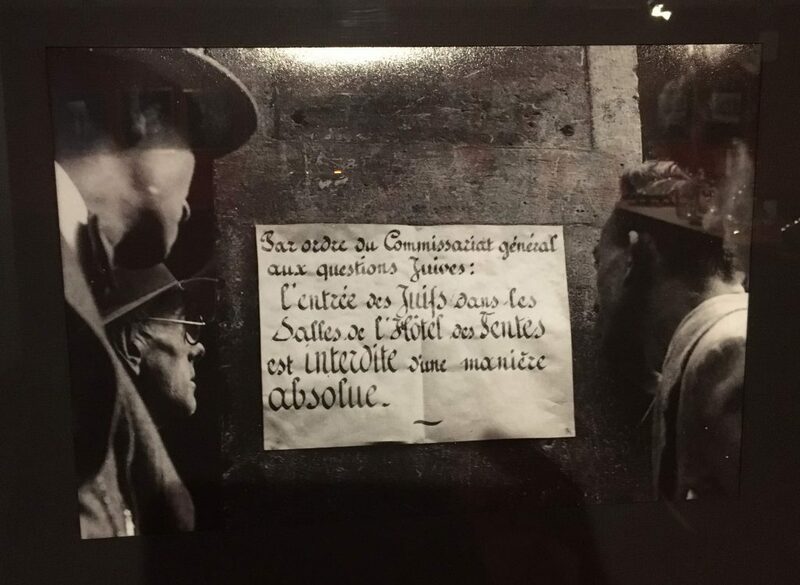 It is ironical that the remarkable exhibition on the collaboration between some French art experts and Nazi collectors “Le Marché de l’art sous l’occupation 1940-1944” opened the exact same day as the Bührle collection at Musée Maillol. 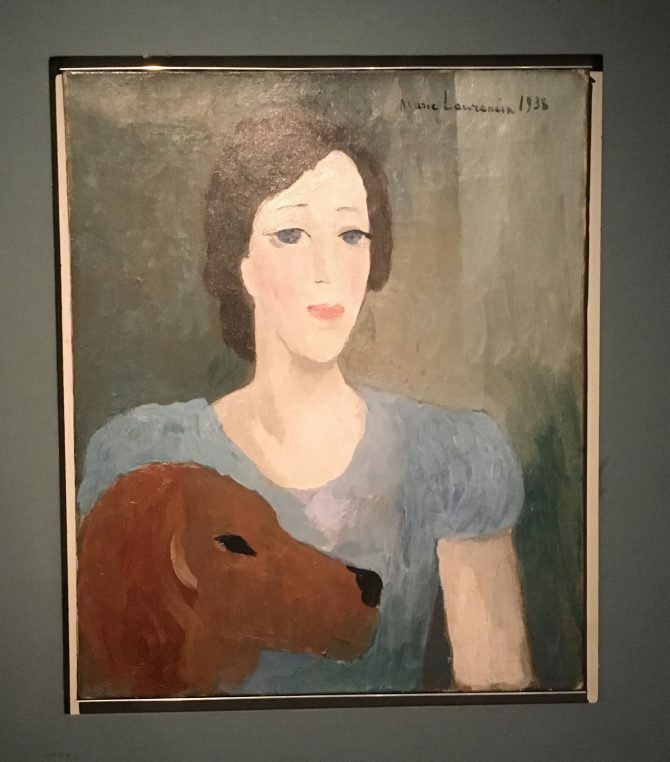 German Swiss collector, Emil Bührle, typically profited from the extraordinary art market during the war at Hôtel Drouot and through private sales, and bought his exceptional collection with the money he made selling arms to the German army. 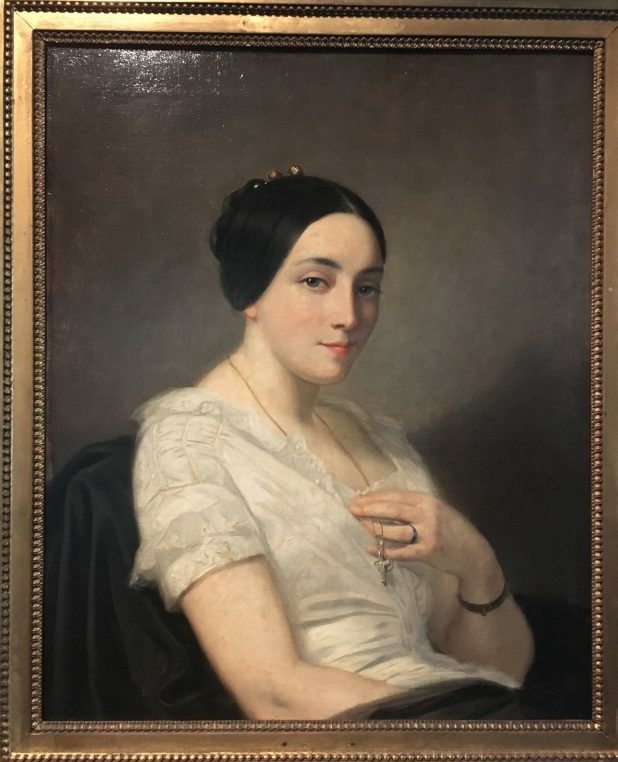 The large amount of beautiful paintings and furniture seized from the Jews (collectors and gallery owners alike) and later auctioned or confiscated for Hitler’s and Göring’s art collections, enriched many middle men who were often French. 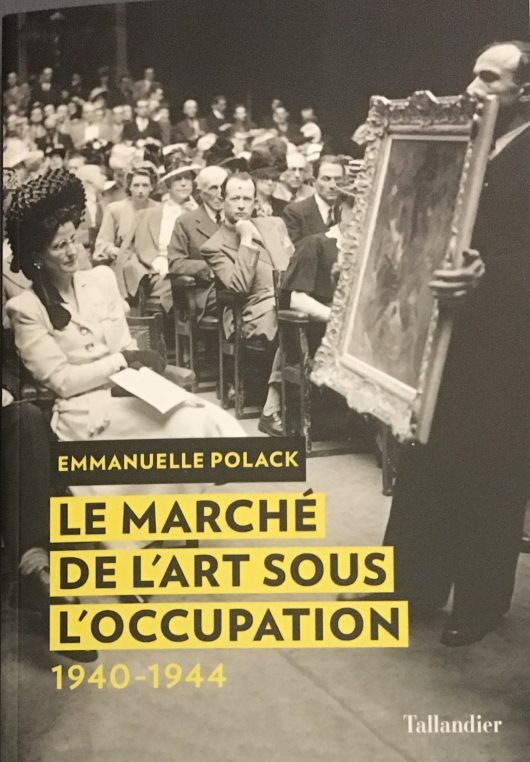 A book by Art historian Emmanuelle Polack is well illustrated and is the inspiration for the exhibition at Mémorial de la Shoah which she curated. This is not to be missed! Emmanuelle Polack was incited to start a dissertation at 52 by the discovery, made in collector Cornelius Gurlitt‘s house in Munich, of a thousand major works of art in 2012. The scandal was such that she felt that, at last, official archives would open up, and at the French Foreign office (Quai d’Orsay), she was allowed to search and publish major photographs showing how French officials had collaborated with the occupants. One, never published before, shows Germain Bazin, number two of the Louvre, saluting Hitler style Alfred Rosenberg, the German head of ERR. 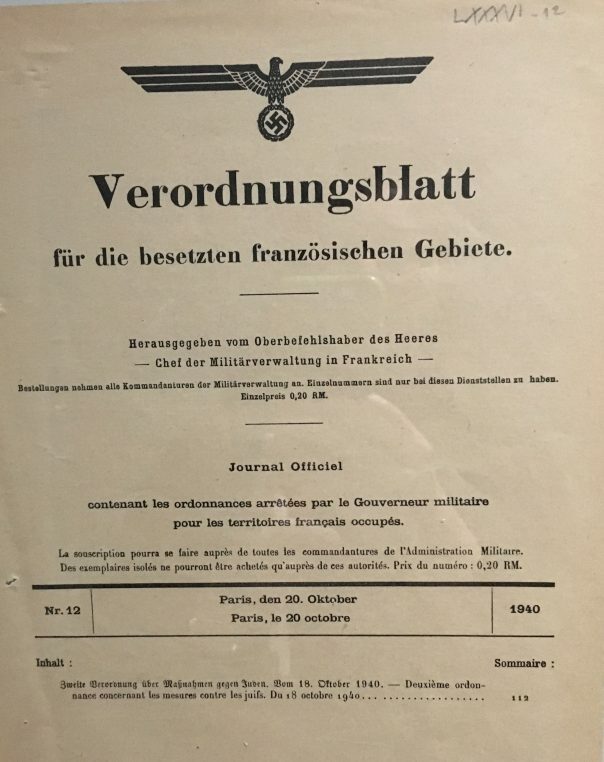 Between the German Ordinances and the Vichy laws, the French art marked filled with Jewish owned chefs d’oeuvres, which Himmler and Goebbels particularly appreciated. The French black market dealers, also bought at Drouot with their fresh money. 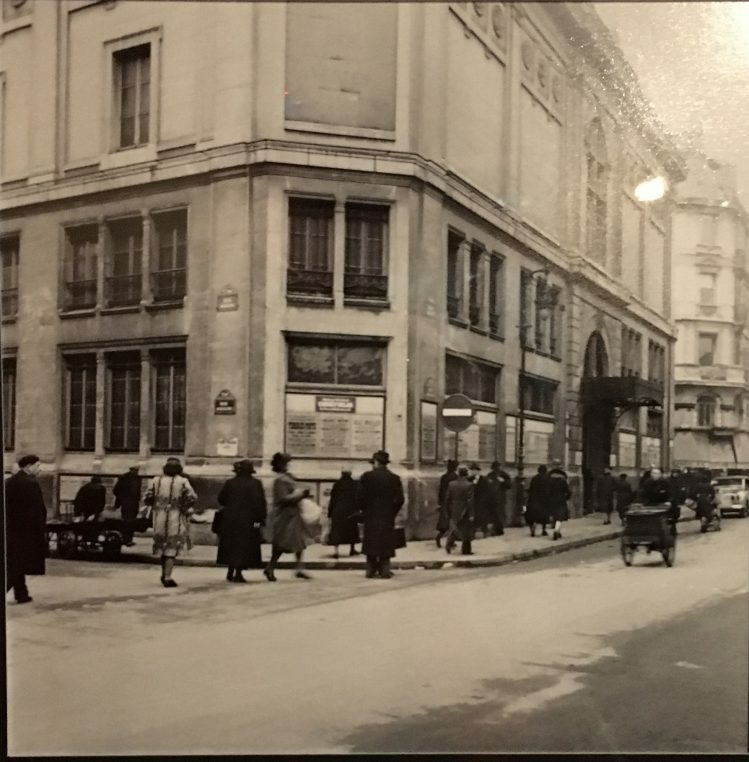 This was a time when major art dealers in Paris were Jewish and their galleries were on the right bank, rue la Boétie, Faubourg Saint Honoré and place Vendôme. Pierre Loeb, Paul Rosenberg, René Gimpel, Widenstein, were all seized and their galleries were imposed a French administrator. The ERR, (the Reichsleiter-Rosenberg services) was in charge of confiscating Jewish collections, like German born Adolphe Schloss‘s which comprised 333 Dutch and Flemish paintings most of which were sent to Germany. Karl Haberstock, a well established art dealer in Berlin, joined the Nazi party in 1933 and sent his emissaries to France. Some works were bought in auction, others were just stolen. Hitler had his own scout, Maria Albas-Dietrich, who sold 270 paintings to the Führer. What is fascinating in the show, is the series of galleries which are reproduced with portraits, photographs and documents of each major art dealer of the time. A trunk in which Gimpel used to deliver his paintings, photos of Galerie Pierre (Gimpel’s) on Rue Bonaparte (the exception) and then rue des Beaux Arts, where Picasso, Balthus, Matisse, Giacometti were exhibited. The Wildenstein building on rue la Boétie, and live pictures of auctions at Drouot all testify to the active art market. In the book on the other hand, Polack describes methodically the numbers, the behaviors, the actors of this huge looting enterprise. Published in the Journal Officiel, the German order concerning the Jews. Thanks to Rose Valland (1898-1980), who was the hero of a few films including “Monuments Men” directed by George Clooney with Cate Blanchett, all paintings transiting through the Jeu de Paume in the Tuileries, were recorded before being sent to Germany. Out of 100 000 paintings sent to Germany, 60 000 were returned. Some spoliated works are exhibited in specific rooms in the museums which house them like at the Louvre. 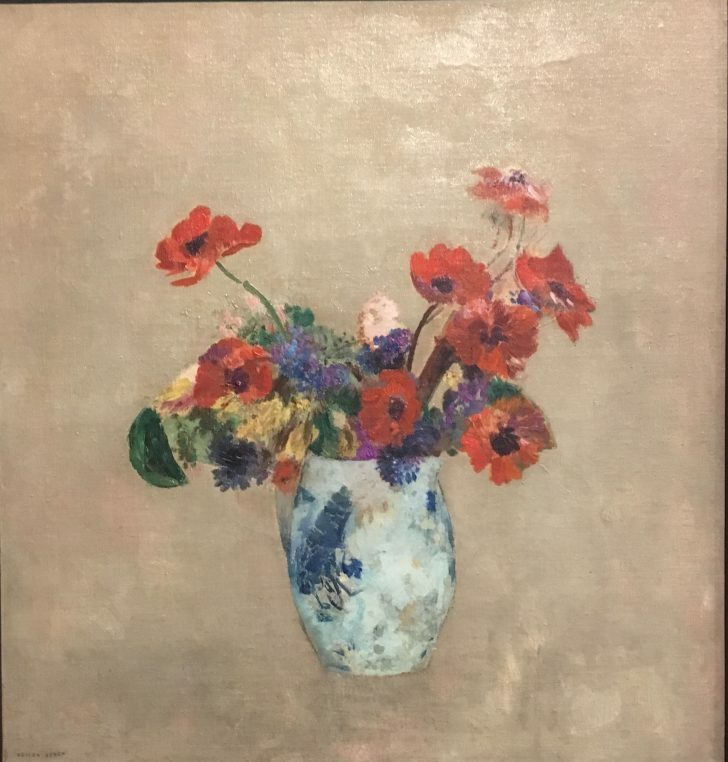 Very recently on October 18, 2018, “Flowers in a vase” by Odilon Redon appeared in a sales catalog at Sotheby’s with an estimate of 150 000 to 200 000€. 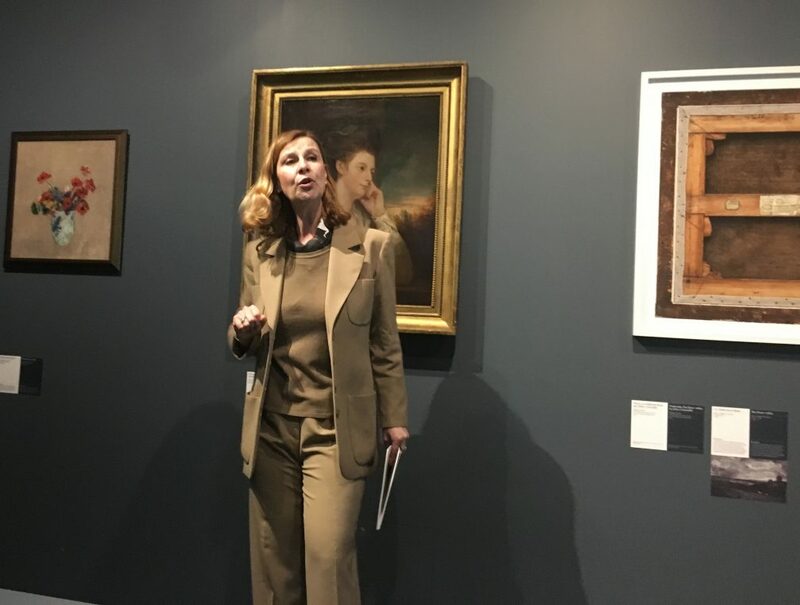 It came from the Georges Lévy collection, had been stolen during the occupation and thanks to Emmanuelle Polack’s immediate intervention and Sotheby’s full cooperation, the work was restored to Régine Moog, who represents the heirs of chief Rabbi Kaplan. This was the cherry on the cake of the long and never ending research, made for this exhibition. The painting is exhibited in the last room with three others, Thomas Couture, “Portrait of a young woman sitting” and “The Stour Valley” by John Constable. Emmanuelle Polack’s dissertation directed by Philippe Dagen and Claire Andrieu, took seven years to research and will soon be published. The book based on it, came out in February and is published by Tallandier. The exhibition at Mémorial de la Shoah is on till November 3. All the documents shown here are fascinating. Thank you for the heads up and detailed infohere. Definitely not-to-be-missed exhibit. Thank you for this compelling and beautifully written description of this not-to-miss exhibition.